Hungry? A new neighborhood Mediterranean spot has you covered. Located at 6004 Falls of Neuse Rd. in North Ridge Villas, the newcomer is called Zoes Kitchen. This eatery--which has more than 200 locations spanning 17 states--specializes in Mediterranean bowls, soups and salads, sandwiches, and stuffed pitas. Zoes Kitchen has garnered rave reviews thus far, with a 4.5-star rating out of two reviews on Yelp. 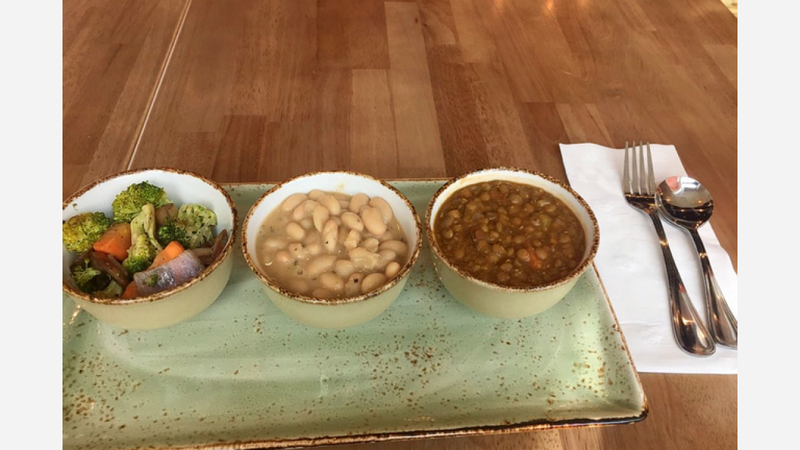 Fred B., who was among the first Yelpers to review the new spot on January 21st, said: "Newest Zoes in Raleigh has a lovely new floor plan that provides a spacious quiet environment with booths and tables inside and outside. Kitchen can be seen through glass window. Food is the best Middle Eastern cuisine in town for the best price, presentation, and generous portion size." Yelper Charlie F. added: "I liked that there were many options for salads, entrees, sandwiches, and other options. Good selection of sides that are not the typical options of most restaurants." Intrigued? Stop in to try it for yourself. Zoes Kitchen is open daily from 11am-9pm.